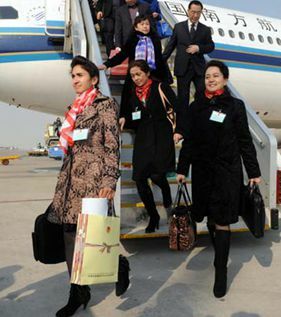 Representatives from the Xinjiang Uygur autonomous region arrived in Beijing on March 2 to attend the second annual session of the 12th National People's Congress (NPC), China's parliamentary body. Chinese President Xi Jinping on Tuesday called for resolute opposition to any words and actions that damage the country's ethnic unity. "We will build a 'wall of bronze and iron' for ethnic unity, social stability and national unity," he said while joining a panel discussion with members from the minority ethnic groups of the National Committee of the Chinese People's Political Consultative Conference (CPPCC). 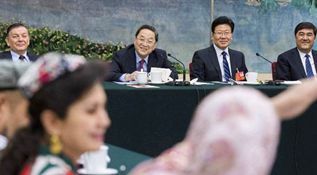 Yu Zhengsheng, chairman of the National Committee of the Chinese People's Political Consultative Conference, the country's top political advisory body, joined a panel discussion with lawmakers from Xinjiang Uygur Autonomous Region. 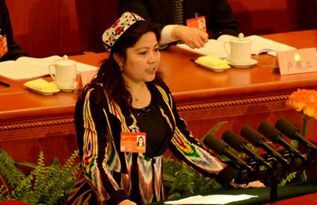 Yu called for more efforts in improving people's well-being, including education, employment, housing, social security and poverty alleviation. 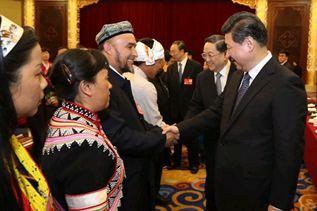 Yu also urged local authorities to crack down on terrorism resolutely and ensure stability in Xinjiang. The number of terrorist attacks in the Xinjiang Uygur autonomous region has been kept to a minimum by the imposition of a range of counterterrorism measures, the region's Party chief said on Thursday. 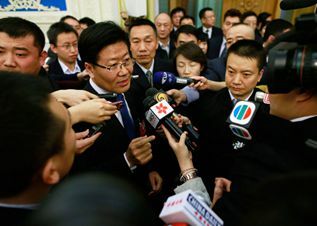 "Terrorist attacks are not caused by the policy of striking hard, but result from the international environment and Xinjiang's special situation," said Zhang Chunxian, Party chief of Xinjiang, during a group discussion among the region's delegation at the 12th National People's Congress. Fighting terrorism and maintaining stability will be the top priority in northwest China's Xinjiang Uygur Autonomous Region, said the regional government's chairman on Wednesday. 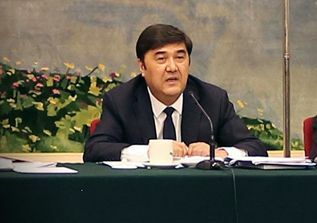 The regional government will firmly crack down on any forms of terrorism, extremism and separatism, said Nur Bekri, chairman of the regional government, at a panel discussion of the Xinjiang delegation during the annual parliamentary session that opened Wednesday. Building bilateral trust with cultural exchange programs should be key to eventually establish the Silk Road Economic Belt as President Xi Jinping proposed, said a CPPCC delegate on Saturday. Due to differences in economic and cultural development, China should improve mutual understanding by cultural and tourism programs with countries along the economic corridor before launching the strategic plan, said the delegate from Xinjiang Uygur autonomous region.